Ryan Koenig’s debut solo EP is a celebration of pre-60s acoustic honky tonk. Influenced by the likes of Roy Acuff and Hank Snow with nods to Marvin Rainwater (“Troubles”) and a country cover of a Cocksparrer classic (“We’re Comin’ Back”), LCR & His Dried-Up Teardrops is upbeat and packed with fun. 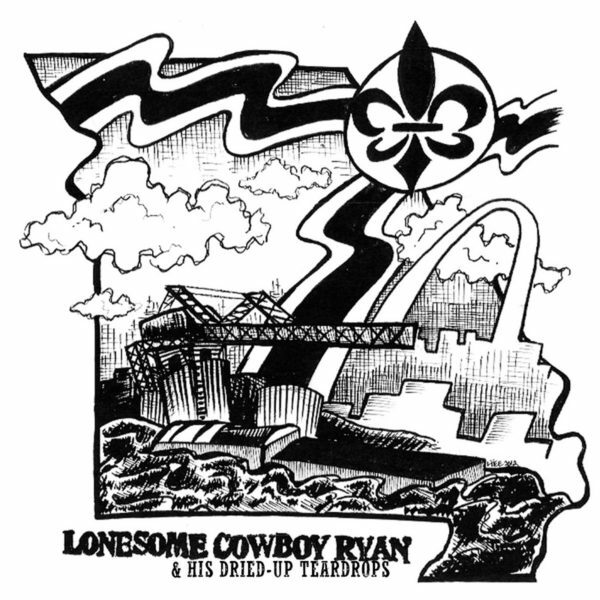 Two of these songs were originally released on a now out-of-print 45 – “Western Lanes”, which is an ode to a bowling alley here and gone and “I’m From Missouri,” which is reminiscent of a subtly psychedelic swinging doors saloon. Featuring the South City Three (Pokey LaFarge) and other guests throughout, this CD is a fun celebration of classic country all the way through.